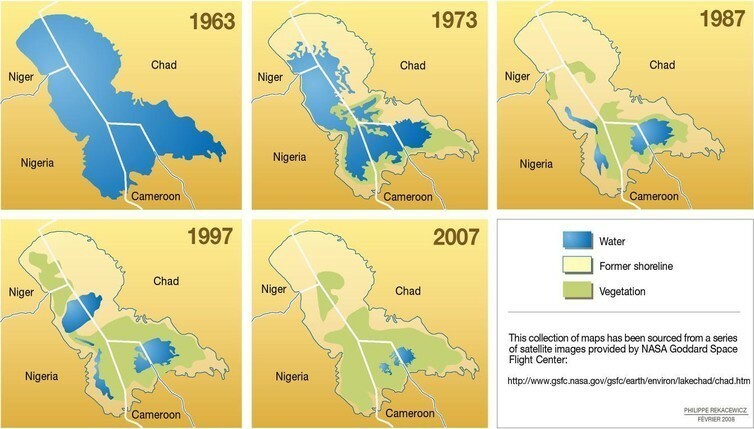 Chad is suffering the effects of climate change worse than many other countries. So why Chad? For a start, it is one of the poorest countries in the world. Around 87% of Chadians are classified as poor, according to the Multidimentional Poverty Index, which factors in health, education and living standards. That’s the fourth highest rate in the world. The percentage who are “destitute” (63%), the most extreme category of poverty, is also the fourth highest in the world. Chad’s population is mostly young, and high youth unemployment has already caused unrest in the capital N'djamena. Vulnerability to climate is made worse by civil unrest or conflict because people cannot receive the help they need during climate-related disasters such as droughts or floods.